More on the Luxor Adjustable Height Extra Large AV Cart with Cabinet (Black) AVJ42XLC below. 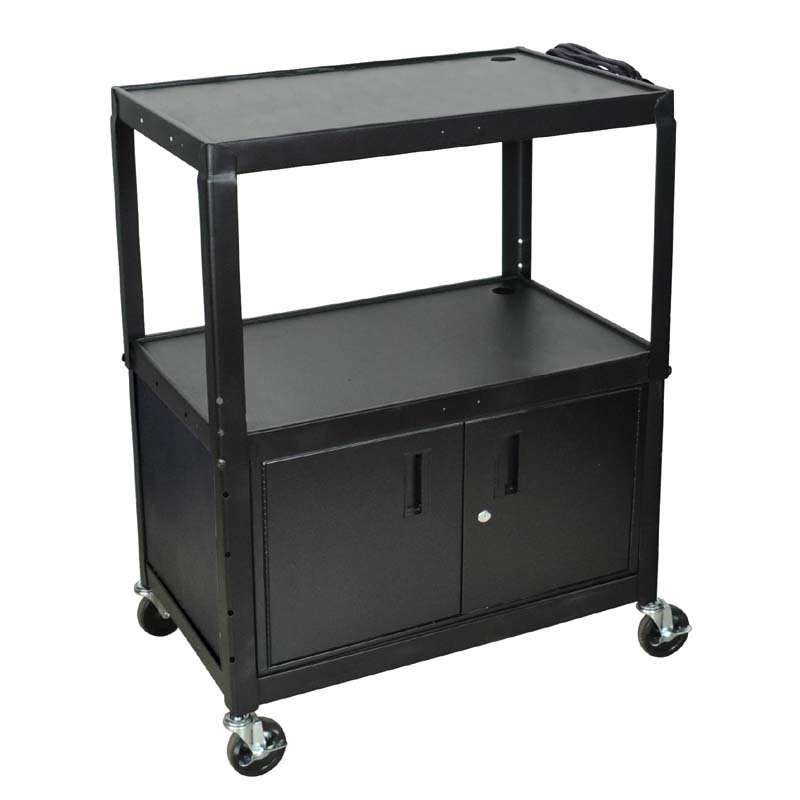 Luxor took their top selling AVJ series cart and made it slightly larger. Their new XL series features larger shelves that are 32" W x 20" D. Roll formed steel construction provides excellent durability and comes with Luxor's lifetime warranty. Adjustable in height from 24" H to 42" H in 2" increments. Includes a locking cabinet for secure storage and a 3-outlet surge suppressing electric assembly. Roll formed steel construction with powder coat paint finish in black. Adjustable height from 24" to 42" in 2" increments. A locking steel cabinet for secure storage. Reinforced locking doors with full length piano hinges. Cable pass through holes in the top and middle shelves. 1/4" retaining lip around each shelf to prevent your valuable components from sliding off the cart. Luxor provides a lifetime warranty. Height: 24 to 42 in.